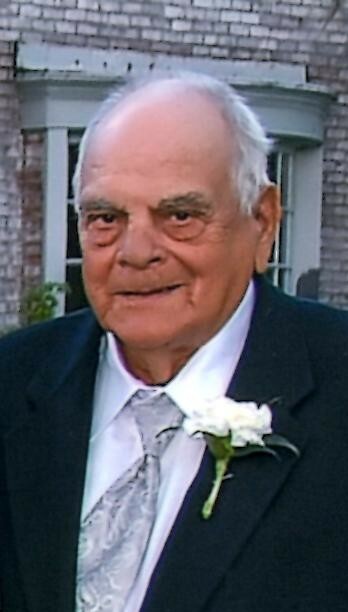 Obituary for William H. Miller | Fox Funeral Home, Inc.
William H. Miller, 92, of Saxonburg passed away on March 29, 2019 at the Butler Memorial Hospital. Bill had worked as a laborer for Saxonburg Ceramics retiring in 1991 after 48 years. He enjoyed hunting, farming, going to Montana and helping plow snow. Surviving are his sons, William D. (Carie) Miller of Saxonburg, Alan G. Miller, Sr. of Butler, 1 sister Mae Wise of Evans City, 3 grandchildren Alan G. Miller, Jr., Tonya Bordonaro and Shelby Miller and 4 great-grandchildren. He is preceded in death by his parents, his wife, Grace Bartley Miller on January 13, 2001 and 2 sisters, Pearl Hall and Dorothy Cloutman. Friends will be received on Monday, April 1, 2019, from 2-4 & 6-8 pm at Fox Funeral Home, Inc., Saxonburg, PA.
Services will be held on Tuesday, April 2, 2019, 1:30 pm at the Fox Funeral Home, Inc., Saxonburg, PA, with Rev. Kevin Bowen officiating. Interment will follow in Saxonburg Memorial Church Cemetery.